You can’t seriously be excited about this. 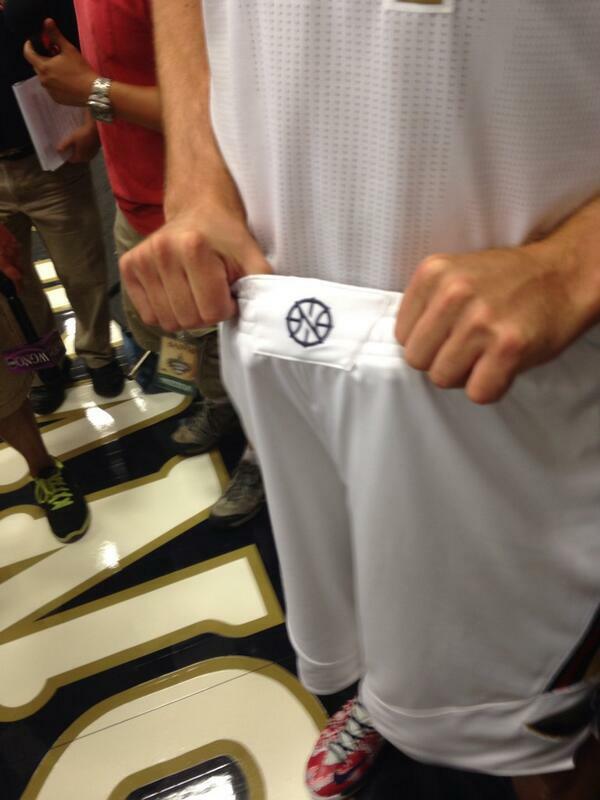 The New Orleans Pelicans officially arrived Thursday with the unveiling of their new uniform set. After looking at it, I immediately felt tired and uninspired by it. The entire set to me was dull and really not that creative. CHECK OUT THE PHOTO GALLERY OF THE UNIFORM UNVEIL The wordmark is simple, along with the numbers (although I wish the home uniform had the team name). The collar is only one-tone and the sleeve pits are the same as the jersey. Seriously, is this exciting? There isn’t a lot of detail in the front or back of the jersey that really makes it distinguishable. Much like the Nets of last year, it’s too simple. For a team that is going through a rebrand, something bold and exciting would work. But this instead is just the opposite. The only thing that is different from what you might associate with a bland, simple uniform is the piping down the side. Both unfiroms feature a gold stripes that’s bordered by blue and red. On the blue uniforms, this actually balances out the color real well. The white should have inversed it somehow but instead, they just kept it the same. The piping looks OK, but nothing too excited about. It’s not that the piping is all bad, but it’s not that great. I don’t like the fact that they applied the bird on the short, thus cutting off the piping. It might have looked better if the logo overlapped it. And the waistband isn’t very appealing either. Overall, this new set isn’t exciting or new. It doesn’t even stand out. And with the opportunity to really set a standard fora team wearing blue, gold and red, it really doesn’t stand out well. The number font isn’t great either, where some numbers feature the spurs in the middle of the number (like #1) but don’t for some (#3). Overall, I give it a 6/10. It’s not great but it’s acceptable. Wake me up when the Hornets return. This entry was posted in NBA, New Orleans Pelicans, New Sets, Uniforms & Design and tagged Adidas. Bookmark the permalink.